Also, I would’ve loved to put some carrots or turnips in here, but alas, we had none. I think the carrots in particular would enhance the flavor. Throw it all in the crock pot and cook on low for 6-8 hours. While I enjoyed this out of the pot, I couldn’t get enough of it on the second day when I took it for lunch. By the time I thought about taking a picture I was slurping down the last few drops of golden buttery broth. I will try to remember next time. Add all but the pears to a pot large enough to submerge the pears and bring to a boil. (I used a high walled but small pot that made it easier to evenly cook the pears – however the lack of surface area caused the syrup to take longer to reduce). Turn the heat down to a simmer and gently add the peeled pears (as they cook they will become easier to bruise). Place a lid on the pot and let simmer for 20-30 minutes (I let them cook while I made dinner). Alternately you could put them in an oven-safe pot and let them bake at 250 for several hours. 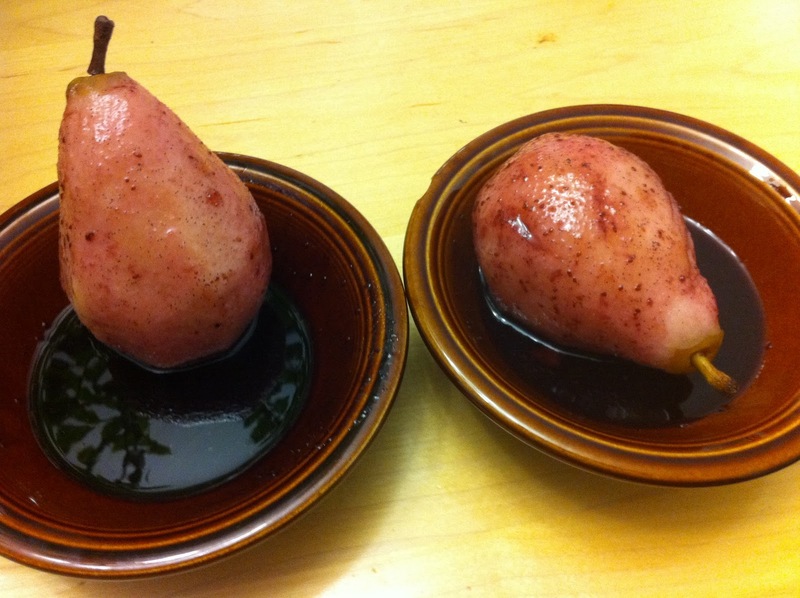 When pears are soft (20-30 minutes on stove top), gently remove them from the sauce and let them cool. Strain out the solid contents and keep the liquid in the pot – placing over medium heat and allowing it to reduce (stirring regularly) to your desired syrup thickness – I like mine to coat a spoon. Now – you can keep the blueberries to serve, but we composted ours – they looked too much like Violet Beauregarde for my taste. Spoon syrup over pears and serve. This would be great serving with some whipped cream or ice cream! Heat stock in a large soup pot. Add carrots and bring to a boil. Reduce heat and simmer for 15 minutes. Add remaining veggies and simmer for another 5 minutes. Add shredded chicken and heat for another 5-10 minutes. Serve Hot. Reheats well, but loses color. This would also be great with a tablespoon of tomato paste or a few eggs dropped into the broth. 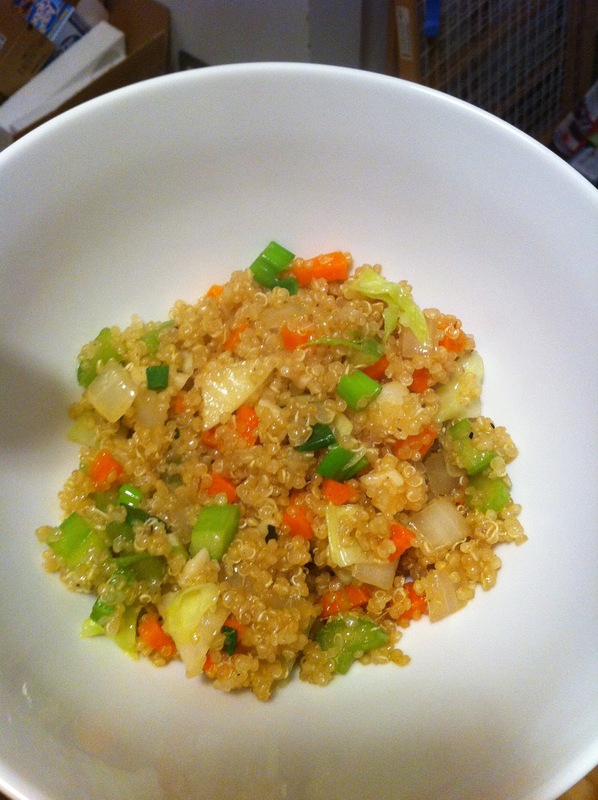 Combine quinoa, 1 cup fresh water and beef stock in a small stock pot. Bring to a boil then reduce heat to low and let cook until fluffy, about 20 minutes. In the mean time, prep/cut vegetables. Heat oils and sauces in a pan (or wok) on high heat. Add onions, garlic, and spices (not cilantro) until aromatic. 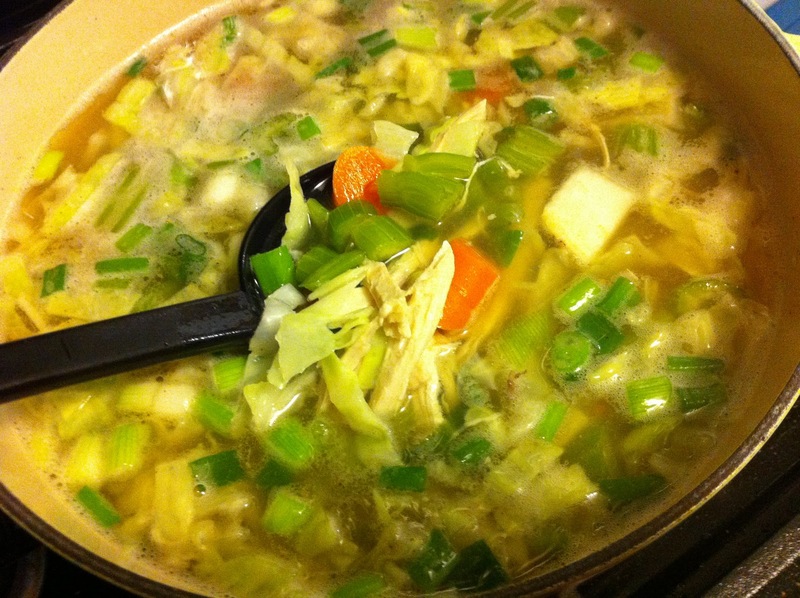 Add vegetables and cook for 10 minutes or so – stirring occasionally. Add quinoa and allow to cook through. This is a cheap and easy, but not fast, dinner (45-60 minutes of cook time). I enjoy making dinners like this because I only use one dish, can catch up on some TV shows, and have leftovers for lunch the next day. I like to complete each step during a commercial break; its really a hands-off dinner. Depending on the ingredients you use (generics/homegrown vs. organic) it can cost between $0.84 and $3.29 per serving for 6 large servings. Optional – soak rice & beans the night before in water with a Tbs. of acid (vinegar, whey, lemon juice, etc.) to break down some indigestibles. Bring stock or liquid to a boil in a large pan. Add rice and beans and bring to a boil again before reducing the heat to a simmer for 15-20 minutes. Add tomatoes (and juices), corn, pepper & seasoning. 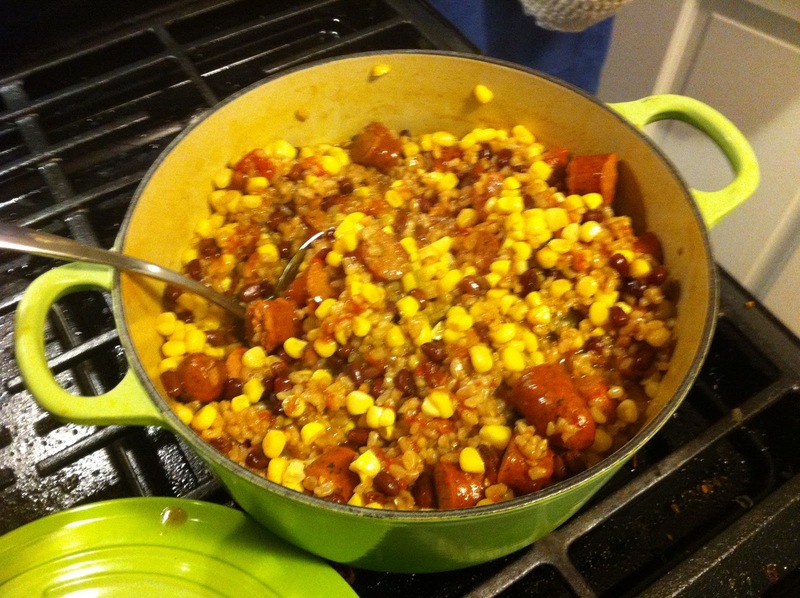 Add sliced sausages and let cook until rice and beans are tender. Stir occasionally. Preheat oven to 375 (F). Meanwhile, cook florets in a large pot of boiling salt water until tender but firm (5 min), drain. Add 2 cups of milk in a saucepan. Meanwhile, melt 2 Tbs of butter in a second saucepan over low heat. Add flour, stirring constantly for 2 minutes, making a rue. Pour hot milk into the rue and stir until it comes to a boil. Boil, whisking constantly, until thickened. Off the heat add a large pinch of salt, pepper, nutmeg and 1/2 cup of cheese. Pour about 1/3 of the sauce into the bottom of a baking dish, filling the dish with the drained florets. 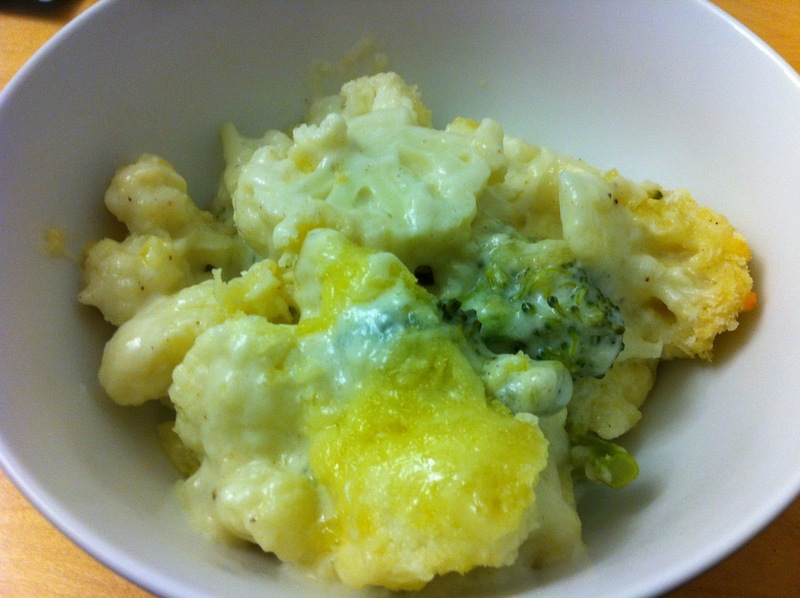 Spread remaining sauce on top and sprinkle with the remaining cheeses and breadcrumbs. Drizzle 2 Tbs. melted butter of the top. Bake for 25-30 minutes until browned. Can be served hot or at room temp (read: a great make ahead meal). A kitchen blow-torch. I think you could broil them in the oven, but I’ve not tried it. Slice the ends off each banana then cut them in half length-wise and width-wise so you’re left with 4 pieces per banana. Coat the cut edge of banana in the vanilla sugar (nestle it in). Peel the bananas and lay them, sugar side up, on a heat proof pan. Torch those babies in an even sweeping motion until the sugar caramelizes – don’t let it burn. *You can use regular white sugar, but we thought the hint of vanilla would add to our enjoyment. I make my own vanilla sugar by stashing emptied/used vanilla bean pods in a small container of sugar. I shake it and adjust every few months.